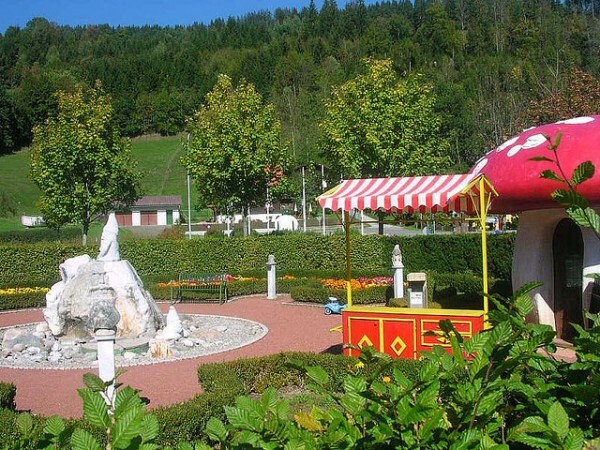 In the green valleys of southern Austria, near Klagenfurt, you will find Gurk, a pilgrimage place, a former episcopal residence and trade city located in the district of Sankt Veit an der Glan, Carinthia. The name “Gurk” comes from the river with the same name. 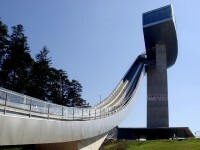 The area began to be inhabited about 2,000 years ago, but got some importance only after Carinthia was included to Bavaria. 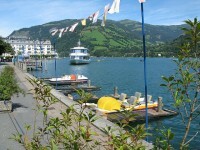 The community is surrounded by vast meadows and forests perched on nearby peaks. The city is the center of the less populated Gurk Valley, with the Straßburg at its bottom, with the fortress from which the the prince-bishop reigned. 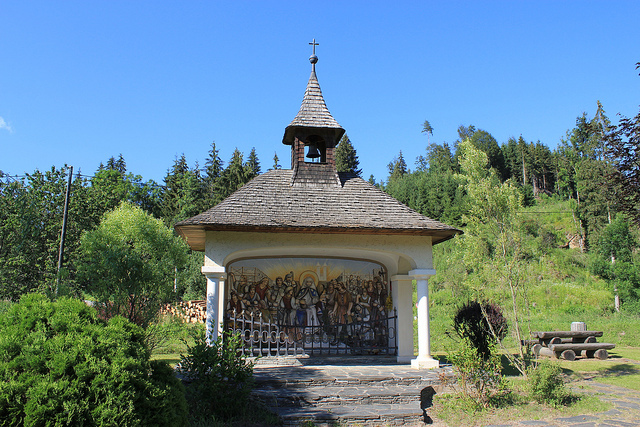 The most important figure of the town is Saint Hemma of Gurk who founded in 1043 a religious house in the market of the town of Gurk. 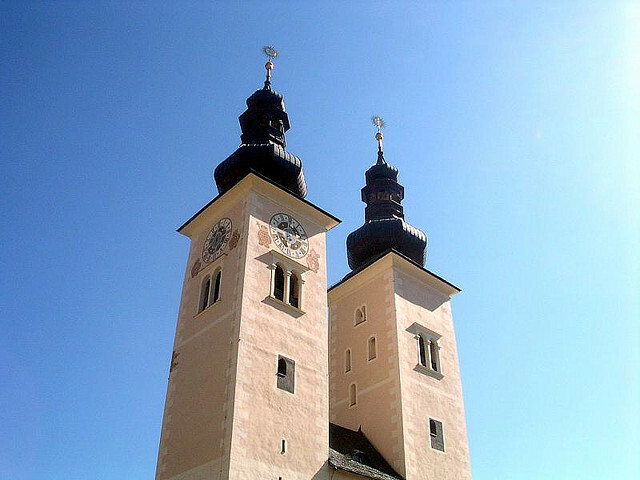 The double Benedictine monastery didn’t have a long existence: it was disbanded in 1072 and the site was used for the construction of the cathedral and episcopal palace for the newly created diocese of Gurk. Gurk was an episcopal residence until 1787, which is now in Klagenfurt. The Cathedral of Gurk is an Austrian basilica, built in the tall Romanesque style. Despite the changes in late medieval and baroque architectural style, it has retained its character being considered one of the most important Romanesque churches in Europe. 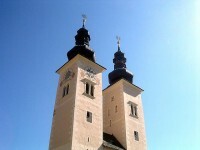 Being in the middle of the town, the imposing twin towers of the cathedral, to which were added the onion type domes, can be seen from a great distance, one of them having a clock on top. The former monastery buildings in the city of Gurk are found in the north of the church, medieval parts were remodeled in the eighteenth century and are arranged around the arched courtyard in early Baroque style. The entire complex of the monastery is surrounded by a wall built in the late fifteenth century, a result of the countless incursions of the Turks in the region. The crypt, with its 100 columns, is the oldest part of the cathedral making it the most accurate representation of the architectural style in which the church was built in the beginning. In 1174, beautifully decorated sarcophagus (Hemmagruft ) of Saint Hemma of Gurk was moved there from the Gurk Abbey. Since the eleventh century her tomb was a pilgrimage destination for Christians worldwide. The devotion to the sacred place remains strong, especially after the canonization of the pious and generous woman that was held in 1938. On June 25, 1988, Pope John Paul II visited it as well and prayed in the cathedral crypt at the grave of Saint Hemma in Gurk. The first papal visit in the history of Carinthia was a highly publicized event and 80,000 pilgrims gathered at the outdoor liturgy in front of the cathedral.